Bone-seeking radiopharmaceuticals have the main role in the treatment of painful bone metastases. The aim of this study was to dosimetrically compare radiopharmaceuticals in use for bone pain palliation therapy and bone scan. The MCNPX code was used to simulate the radiation transport in a vertebral phantom. Absorbed fractions were calculated for monoenergetic electrons, photons and alpha particles. S values were obtained for radionuclides 32P, 33P, 89Sr, 90Y, 99mTc, 117mSn, 153Sm, 166Ho, 169Er, 177Lu, 186Re, 188Re, 223Ra, 224Ra and their progenies for target regions including the active marrow and the bone endosteum. The results demonstrated the dependence of dosimetric parameters on the source or target size, particle energy and location of the source. The electron emitters including 33P, 117mSn, 169Er and 177Lu and 223Ra as an α-emitter gave the lower absorbed dose to the active marrow. These radionuclides gave the highest values of the Relative Advantage Factor (RAF). 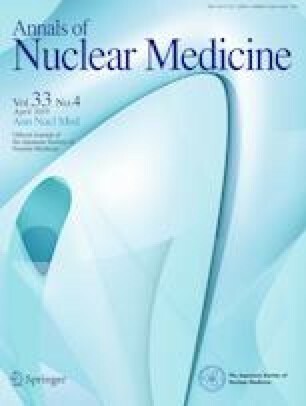 According to the results, 33P, 117mSn, 169Er, 177Lu and 223Ra have fewer side effects on the active marrow than other investigated radionuclides. Therefore, these radionuclides may be a better choice for use in palliative radiotherapy.